Boyatzis, Richard, E. and Annie McKee. Resonant Leadership : Renewing Yourself and Connecting with Others Through Mindfulness, Hope and Compassion (Harvard Business Review Press, 2005). Richard Boyatzis and Annie McKee provide an indispensable guide to overcoming the vicious cycle of stress, sacrifice, and dissonance that afflicts many leaders. 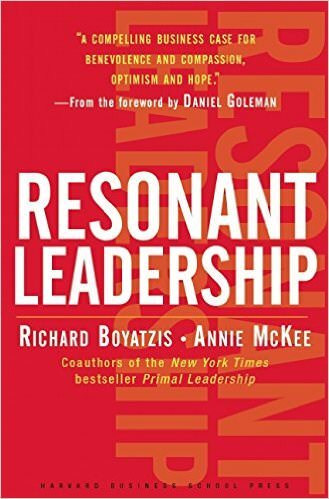 Drawing from extensive multidisciplinary research and real-life stories, Resonant Leadership offers a field-tested framework for creating the resonance that fuels great leadership. Rather than constantly sacrificing themselves to workplace demands, leaders can manage the cycle using specific techniques to combat stress, avoid burnout, and renew themselves physically, mentally, and emotionally. The book reveals that the path to resonance is through mindfulness, hope, and compassion and shows how intentionally employing these qualities creates effective and enduring leadership. Great leaders are resonant leaders. Resonant Leadership offers the inspiration--and tools--to spark and sustain resonance in ourselves and in those we lead. Chapman, Bob and Raj Sisodia. 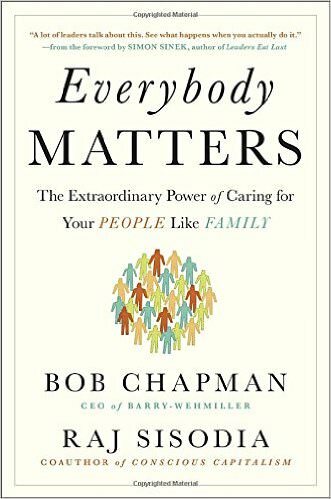 Everybody Matters: The Extraordinary Power of Caring for Your People Like Family (Portfolio, 2015). Chapman and coauthor Raj Sisodia show how any organization can reject the traumatic consequences of rolling layoffs, dehumanizing rules, and hypercompetitive cultures. Once you stop treating people like functions or costs, disengaged workers begin to share their gifts and talents toward a shared future. Uninspired workers stop feeling that their jobs have no meaning. Frustrated workers stop taking their bad days out on their spouses and kids. And everyone stops counting the minutes until it’s time to go home. Chouinard, Yvon. 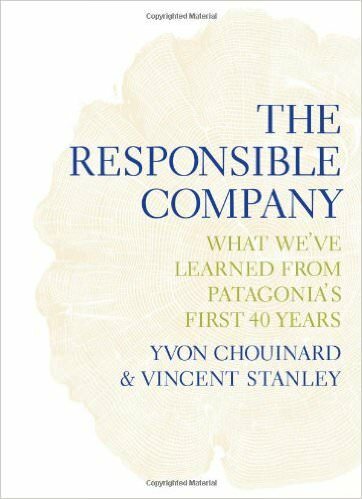 The Responsible Company: What We've Learned From Patagonia's First 40 Years (Patagonia Books, 2012). Over the past 40 years, Patagonia has consistently done the outrageous and unusual -- switched to exclusive use of organic cotton clothes, introduced recycled (and recyclable) underwear and fleece, and created an interactive website, the Footprint Chronicles, to clue customers in to the social and environmental impact of Patagonia's products. The company's Common Threads Initiative redefines the relationship between company and customer, to help reduce consumption, wrest the full life out of every product made, and recycle or repurpose what can no longer be used. Cotton, Pamela. 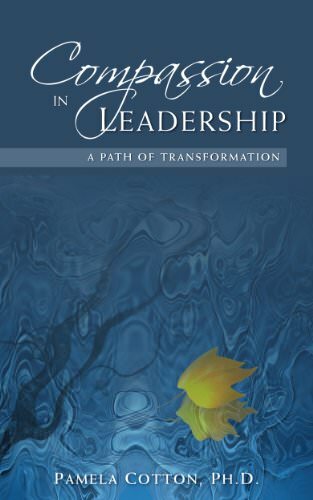 Compassion in Leadership: A Path of Transformation (Mindful Resilience Press, 2013). The position of leadership offers a unique opportunity to have your compassion-based actions affect more people, travel more miles, and have a greater impact. This short inspirational book invites you to work with specific skills that foster compassion within positions of influence. Living those capacities in the context of presence, you engage a process of transformation, leading yourself into greater creativity and rich personal meaning. The author brings to this work years of fostering transformation by others, helping them turn challenges into generative personal development and rewarding professional results. In transforming yourself, you transform the world. Cooperrider, David and Diana Whitney. 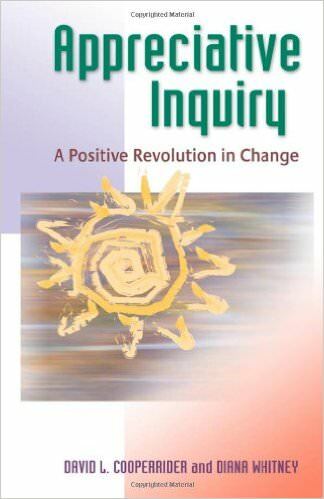 Appreciative Inquiry: A Positive Revolution in Change (Berrett-Koehler Publishers, 2005). Written by the originators and leaders of the Appreciative Inquiry (AI) movement itself, this short, practical guide offers an approach to organizational change based on the possibility of a more desirable future, experience with the whole system, and activities that signal "something different is happening this time." That difference systematically taps the potential of human beings to make themselves, their organizations, and their communities more adaptive and more effective. AI, a theory of collaborative change, erases the winner/loser paradigm in favor of coordinated actions and closer relationships that lead to solutions at once simpler and more effective. Elder-Vass, Dave. Profit and Gift in the Digital Economy (Cambridge University Press, 2016). 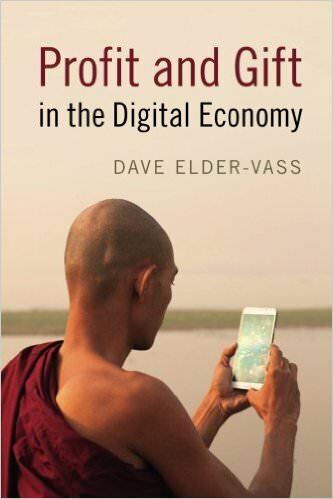 In "Profit and Gift in the Digital Economy," Dave Elder-Vass argues that our economy is not overwhelmingly capitalist nor overwhelmingly a market economy. Both of these approaches, he argues, "ignore vast swathes of the economy, including the gift, collaborative, and hybrid forms that coexist with more conventional capitalism in the new digital economy." The book presents a framework for analyzing diverse economic systems that show how different practices bring about radically different economic outcomes. Foor, Brandon. 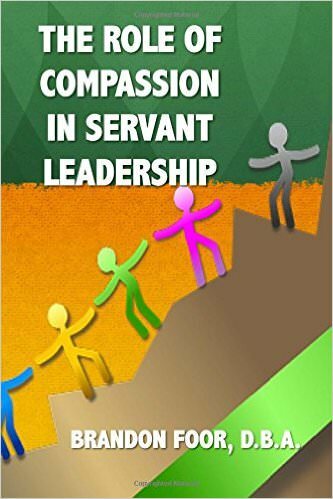 The Role of Compassion in Servant Leadership (CreateSpace Independent Publishing Platform, 2015). The author used a qualitative research approach to analyze interview responses from 12 industry leaders regarding the concept of compassion and its role in servant leadership. Emergent themes suggested that compassion indeed plays a role in servant leadership through teaching by example, improving the well-being of others, and building positive relationships between companies and employees. Horowitz, Ben. 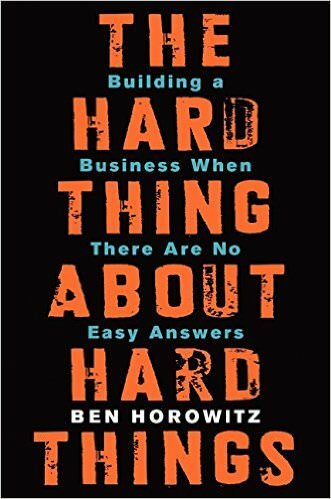 The Hard Thing About Hard Things: Building a Business When There Are No Easy Answers (HarperBusiness, 2014). Ikeda, Daisaku. 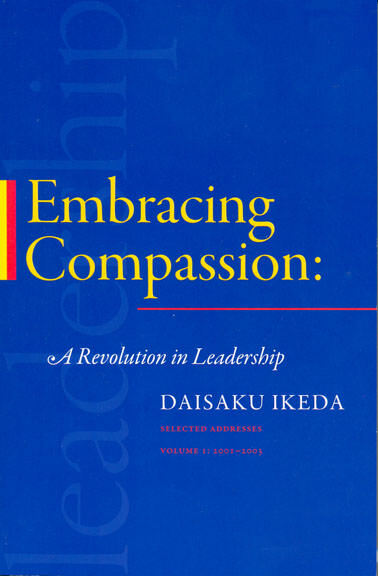 Embracing Compassion: A Revolution in Leadership (World Tribune, 2009). Kelley, D. Lynn, David Cooperrider and Jackie Stavros. 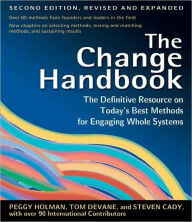 The Change Handbook: The Definitive Resource on Today's Best Methods for Engaging Whole Systems (Berrett-Koehler Publishers, Inc., 2006). In 1999, the first edition of The Change Handbook provided a snapshot of a nascent field that broke barriers by engaging "whole systems" of people from organizations and communities in creating their own future. In the last seven years, the field has exploded. In this completely revised and updated second edition, lead authors Peggy Holman, Tom Devane, and Steven Cady profile sixty-one change methods—up from eighteen in the first edition. Nineteen of these methods are explored in depth, with case studies, answers to frequently asked questions, and details on the roles and responsibilities of the people involved, conditions for success, and more. This tremendously expanded second edition—400 pages longer, nearly twice the length of the first edition—will undoubtedly become the definitive resource in this rapidly expanding area. Keltner, Dacher. 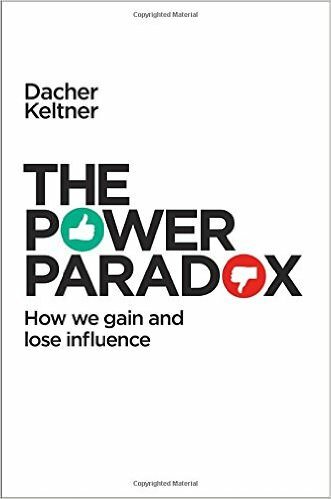 The Power Paradox: How We Gain and Lose Influence (Penguin Press, 2016). A revolutionary and timely reconsideration of everything we know about power. Celebrated UC Berkeley psychologist Dr. Dacher Keltner argues that compassion and selflessness enable us to have the most influence over others and the result is power as a force for good in the world. Klein, Jeff. 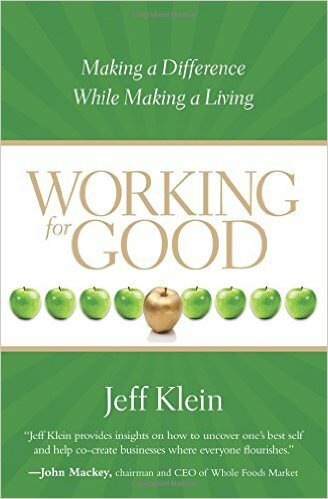 Working for Good: Making a Difference While Making a Living (Sounds True, 2009). This practical guidebook for becoming a conscious entrepreneur is designed to inspire, inform, engage, activate, and assist readers in their pursuit of building and operating a conscious enterprise. Kofman, Fred. 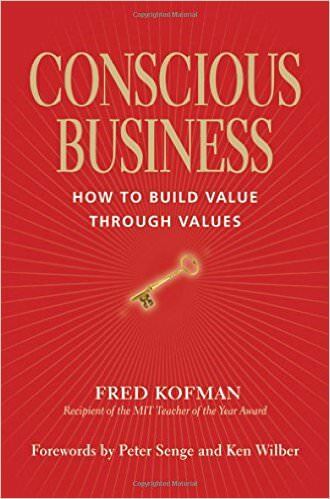 Conscious Business: How to Build Value through Values (Sounds True, 2013). Korten, David. 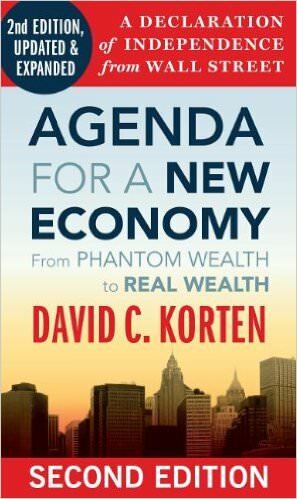 Agenda for a New Economy: From Phantom Wealth to Real Wealth (Berrett-Koehler Publishers, 2010). Agenda for a New Economy is a call for a national Declaration of Independence from Wall Street. What is needed, Korten argues, is a system that favors life values over financial values, roots power in people and community, and supports local resilience and self-organization within a framework of living markets and democracy. The new edition is a handbook for a nonviolent Main Street revolution – because change, as he explains, will not come from above. It will come from below. Korten, David. Change the Story, Change the Future: A Living Economy for a Living Earth (Berrett-Koehler Publishers, 2015). To guide our path to a viable human future, Korten offers a Sacred Life and Living Earth story grounded in a cosmology that affirms we are living beings born of a living Earth itself born of a living universe. Our health and well-being depend on an economy that works in partnership with the processes by which Earth's community of life maintains the conditions of its own existence—and ours. 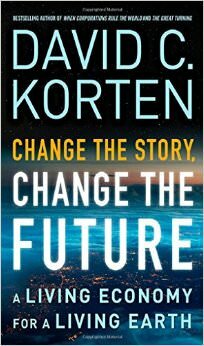 Offering a hopeful vision, Korten lays out the transformative impact adopting this story will have on every aspect of human life and society. Korten, David. The Great Turning: From Empire to Earth Community (Berrett-Koehler Publishers, 2007). 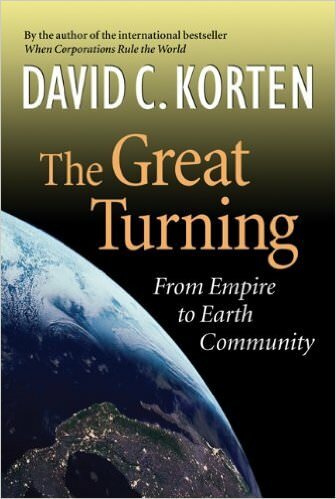 In The Great Turning, David Korten argues that "Empire," the organization of society through hierarchy and violence has always resulted in misery for the many and fortune for the few, but now it threatens the very future of humanity as Empire has become unsustainable and destructive. Korten traces the roots of Empire and charts the evolution of its instruments of control, from absolute monarchies to the multinational institutions of the global economy. He describes efforts to develop democratic alternatives to Empire, such as the founding of the United States and shows how elitists with an imperial agenda have undermined the "American experiment." Empire is not inevitable, and we can turn away from it. Korten draws on evidence from evolutionary theory, developmental psychology, and religious teachings to show that a life-centered, egalitarian, sustainable, democratic "Earth Community" is possible. Korten, David. When Corporations Rule the World (Kumarian Press, 2001). 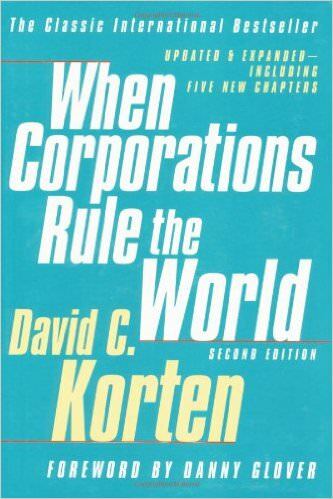 When Corporations Rule the World is an anti-globalization book by David Korten. Korten examines the evolution of corporations in the United States and argues that "corporate libertarians" have 'twisted' the ideas of Adam Smith's view of the role of private companies. Lakey, George. Viking Economics: How the Scandinavians Got it Right—and How We Can Too (Melville House Books, 2016). 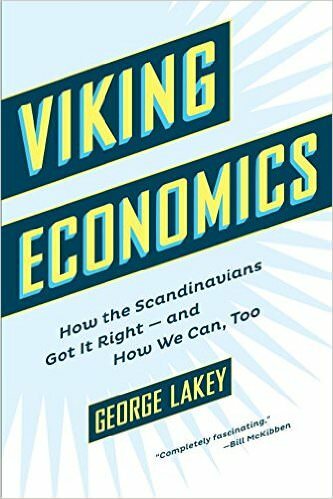 In "Viking Economics," George Lakey tackles some of the myths surrounding Scandinavia, including that its "land of equality" status can't be replicated elsewhere, especially in large countries. Described as the most fun economics book you'll ever read, "Viking Economics" explores the "inner workings of the Nordic economies that boast the world’s happiest, most productive workers," and explains how — if we can enact some of the changes the Scandinavians fought for — we too can embrace equality in our economic policies. Linchuan Qiu, Jack. 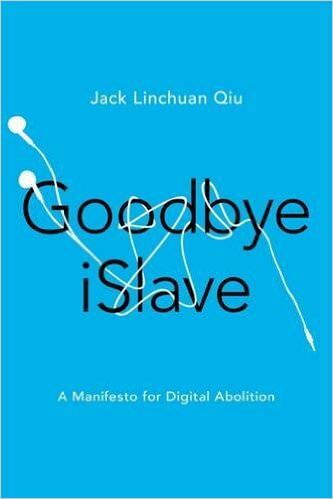 Goodbye iSlave: A Manifesto for Digital Abolition (University of Illinois Press, 2016). "Goodbye iSlave" is an exposé of the "brave new world of capitalism propelled by high tech, guarded by enterprising authority, and carried forward by millions of laborers being robbed of their souls." In it, Jack Linchuan Qiu, professor at the School of Journalism and Communication at the Chinese University of Hong Kong, shines a light on factory workers — iSlaves — who are "terrified into obedience" as they feed the world's addiction to iPhones and other tech gadgets. At the heart of the book is a passionate plea to unite and liberate these forgotten workers. Mackey, John and Rajendra Sisodia. 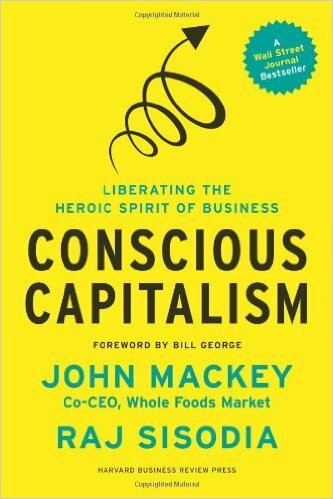 Conscious Capitalism: Liberating the Heroic Spirit of Business (Harvard Business Review Press, 2013). Markham, David. 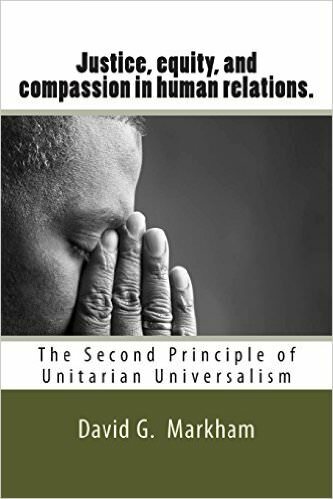 Justice, Equity and Compassion in Human Relations: The Second Principle of Unitarian Universalism (CreateSpace Independent Publishing, 2014). This book of 11 reflections on the second principle of Unitarian Universalism, “to covenant to affirm and promote justice, equity, and compassion” is a gem. This principle rolls easily off the tongue with its triadic meter and yet when deconstructed, unpacked, is probably more than most people would bargain for. Markham argues that the application of this principle is counter cultural and places the devout and committed Unitarian Universalist at odds with the predominant, conventional, American Culture. Not only for Unitarian Universalists, this book is of interest to all those reflecting on The Good Life and what its most basic virtues of justice, equity, and compassion entail. It lends itself to personal reflection as well as to group discussion. It is highly recommended for those who want to dig deeper into the meanings of the most basic and the most fundamental of human values. McIvor, Olivia. 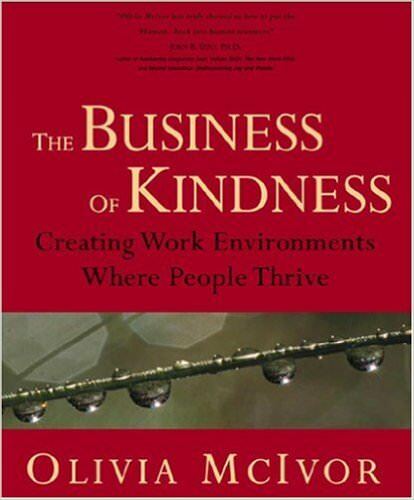 The Business of Kindness: Creating Work Environments Where People Thrive (Fairwinds Press, 2006). Business of Kindness raises self-awareness and personal accountability for the development of a respectful and caring workplace culture. In this book, you will learn and practice the 12 Character Building Traits which when consciously applied and woven into the organizational fabric will create a positive, productive and profitable work environment. McIvor, Olivia. 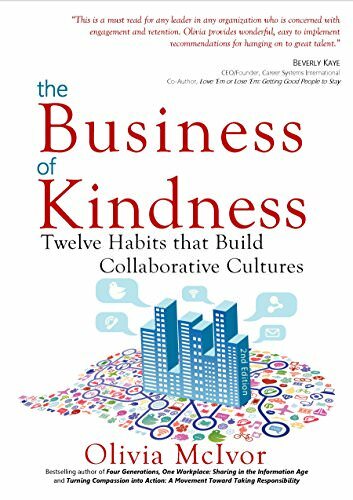 The Business of Kindness: Twelve Habits that Build Collaboration (FairWinds Press, 2015). In The Business of Kindness (2006), author Olivia McIvor introduced the powerful role kindness plays in creating positive, purposeful and profitable workplaces. In this second edition, McIvor fast-forwards to the effect technological change and social media have had on the workplace and the challenges of bullying, employee retention and disengagement businesses face. To McIvor, relationships are front and center in any discussion on how business and community may thrive. The quality of our relationships ultimately determines the health, well-being and success of business and society. Kindness is not often considered a worthwhile solution in challenging and changing times; yet ‘kindness’ is a powerful and meaningful antidote within every person’s grasp. This book identifies the twelve habits of collaboration that, when put into conscious action, have the power to create positive change. Packed full of reflective exercises, self-assessments, research and thought-provoking stories, this book promises to create renewal and community connection. Where would we be without the courageous, without people willing to take responsibility and act, without those who are trustworthy, and who patiently demonstrate tolerance when tough situations arise? Where would we be without the power of kindness that lies within you? McIvor, Olivia. 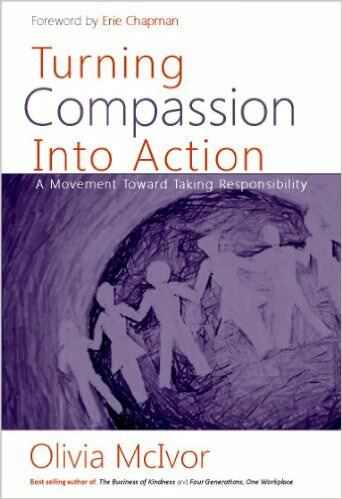 Turning Compassion into Action: A Movement Toward Taking Responsibility (FairWinds Press, 2013). McIvor's Turning Compassion into Action urges each of us to craft engaged and meaningful lives. She believes we must each embrace the innate wellspring of compassion within us and impact our world, one action at a time. To actualize compassion we need to transform our pessimism into optimism; connect to the deeper purpose of our work; expand our communities to create more belonging; and be intentionally present with ourselves and others. This book is a call to action to bring more compassion to the forefront of our lives, our work, and our world. We are all "ordinary people" -brave men and women doing heroic acts of kindness and compassion, every day in the simplest of ways. This book is a call for action to bring more compassion to the forefront of your life, your work and your world. You will be asked provocative questions, explore meaningful answers and be moved to take affirmative action. Whether you are a leader committed to exceptional service, a parent proudly wading through the teen years, a passionate volunteer, or anyone who believes that actively giving of yourself changes the world...then this book is for you. Olivia McIvor asks: What does compassion mean to you? How is compassion an alive presence in your life? Do you create more joy for others? In what ways are you a compassionate consumer? How do you create a sense of belonging in your community? Do you bring your whole self to work? McMahon, Maria. 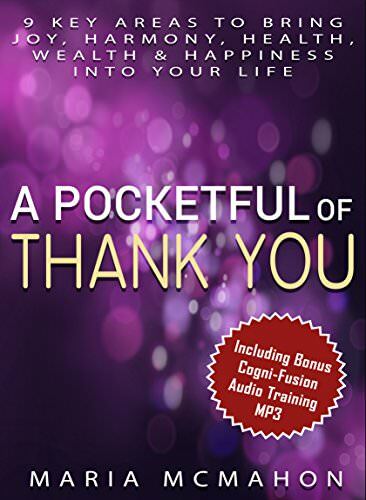 A Pocketful of Thank You: 9 key areas to bring joy, harmony, health, wealth & happiness into your life (KDP, 2016). When was the last time you stopped to express your gratitude? If you’re like most people, you probably spend more time complaining about lack than being grateful for what you’ve already got. But what if you realized that by expressing gratitude for everything you DO have right now, you could open the floodgates for more good things to flow into your life? Wouldn’t you be grateful to have more joy, harmony, health, wealth and more happiness in your life? Well, the good news is that this beautiful book will show you how all of these can be accessible if you just learn how to turn the power of gratitude up in your favour. Mehta, Pavithra K. and Sucitra Shenoy. 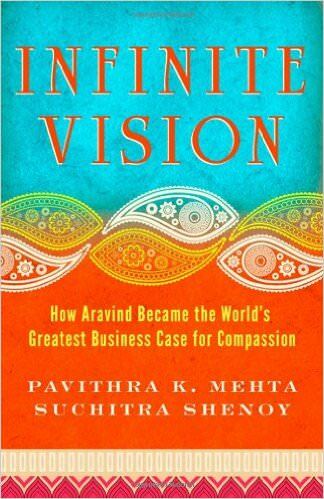 Infinite Vision : How Aravind Became the World's Greatest Business Case for Compassion (Berrett-Koehler Publishers, 2011). When a crippling disease shattered his lifelong ambition, Dr. Venkataswamy (better known as Dr. V) chose an impossible new dream: to cure the world of blindness. The tiny clinic he founded in India defied conventional business logic and is now the largest provider of eye care on the planet. At Aravind, patients choose whether to pay or not. Millions are treated for free, yet the organization remains stunningly self-reliant. Serving everyone from penniless farmers to the president, it delivers world-class outcomes at a hundredth of what similar services cost providers in advanced nations. Its model is emulated by organizations everywhere from Rwanda to San Francisco. Ndlovu. 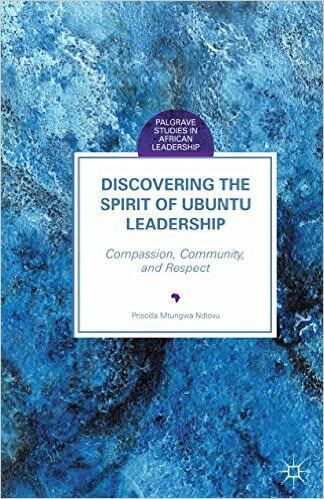 Discovering the Spirit of Ubuntu Leadership: Compassion, Community, and Respect (Palgrave Macmillan, 2016). Discovering the Spirit of Ubuntu Leadership introduces a new leadership model which takes into account the history, culture and economic environment of African women leaders to understand, discover, observe and share their personal leadership experiences. Sanders, Tim. 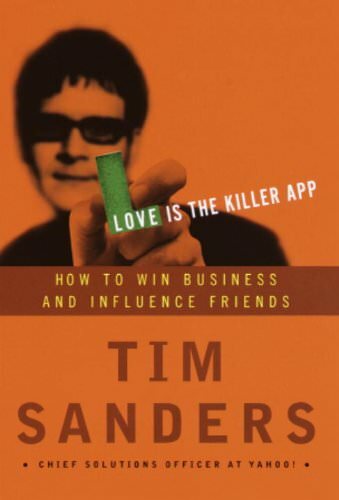 Love is the Killer App: How to Win Business and Influence Friends (Crown Business, 2002). Are you wondering what the next killer app will be? Do you want to know how you can maintain and add to your value during these rapidly changing times? Are you wondering how the word love can even be used in the context of business? Instead of wondering, read this book and find out how to become a lovecat—a nice, smart person who succeeds in business and in life. Sandström, Anders. Anarchist Accounting: Accounting Principles for a Participatory Economy (self-published, 2016). 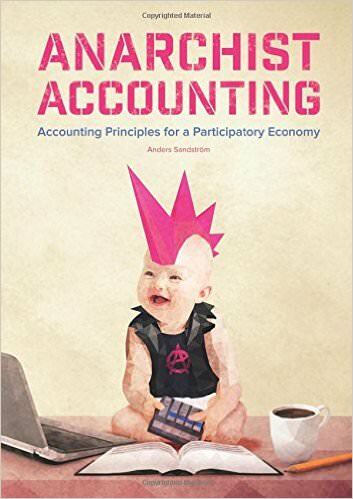 In "Anarchist Accounting," Anders Sandström, a trained accountant and co-founder of Parecon Sverige, a participatory economics advocacy group in Sweden, poses these questions: How would an economic system based on libertarian socialist principles actually work in practice? What kind of information would need to be recorded in order to enable democratic participation, efficient decision-making, and equitable outcomes? Using the economic model of "Participatory Economics" as a framework, he proposes a set of accounting principles for an economy comprised of common ownership of productive resources, federations of worker and consumer councils, and democratic planning. Scholz, Trebor. Uberworked and Underpaid: How workers are disrupting the digital economy (Polity, 2016). 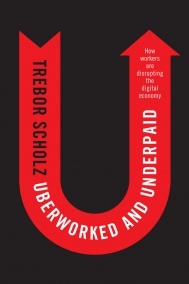 In "Uberworked and Underpaid," Trebor Scholz, associate professor of culture and media at the New School for Liberal Arts, and thought-leader in the platform cooperativism movement, looks at the rise of digital labor. Specifically, he deconstructs the myths about workers in the sharing economy such as Uber drivers and Amazon Mechanical Turk workers, to expose the "uncaring reality of contingent digital work, which is thriving at the expense of employment and worker rights." Sinek, Simon. 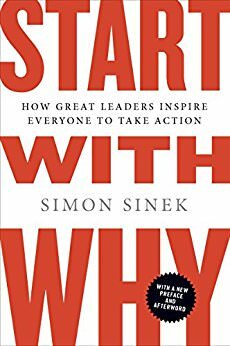 Start with Why: How Great Leaders Inspire Everyone to Take Action (Portfolio, 2009). Speeth, Lauren. 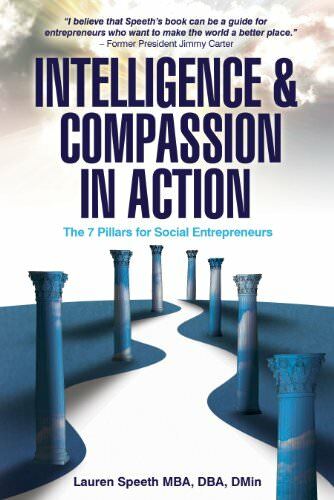 Intelligence and Compassion in Action: The 7 Pillars for Social Entrepreneurs (Elfenworks Productions, LLC, 2012). Intelligence & Compassion in Action is written as a tool to empower the aspiring social entrepreneur, with real guidance as to how, and why, social entrepreneurship really works. It expounds a new Seven Pillar methodology, inspired by the wisdom of former President James Earl “Jimmy” Carter. Written by the founder of The Elfenworks Foundation, Dr. Lauren Speeth, who lives the lessons she teaches in this book daily, the insights within these pages have come from Speeth’s years of experience in technology, management, and the nonprofit world, as well as from insights gained in interviews with extraordinary social entrepreneurs. The Seven Pillars can be of help in any cause you choose to embrace, from poverty and inequality, to health and safety, or any number of daunting issues. It provides a framework for recognizing your vision, focusing your actions in ways that play to your strengths, and shepherding your resources. It also provides insights into effective partnership, credit-sharing, and measuring for feedback and course correction. Finally, there are helpful suggestions on how to stay the course, for true effectiveness. A seven-part “roadmap for uncharted territories,” clearly explained and practically applied, the book also includes a worksheet for your immediate use in evaluating projects and partners. Wohlgemuth Kitslaar, Max. 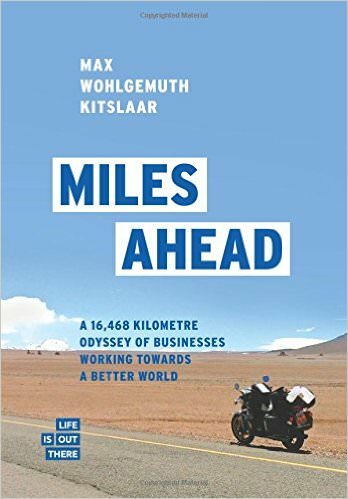 Miles Ahead: A 16,468 kilometre odyssey of businesses working towards a better world (CreateSpace Independent Publishing, 2016). In "Miles Ahead," Max Wohlgemuth Kitslaar sets out on his classic Moto Guzzi motorbike for a six-month trek from Chile to New York. Along the way, Kitslaar speaks with 32 entrepreneurs working on social businesses in six countries who have "accepted the moral responsibility of making the world a better place." The book is a look at the emergence of a new way of doing business. Worline, Monica and Dutton, Jane. 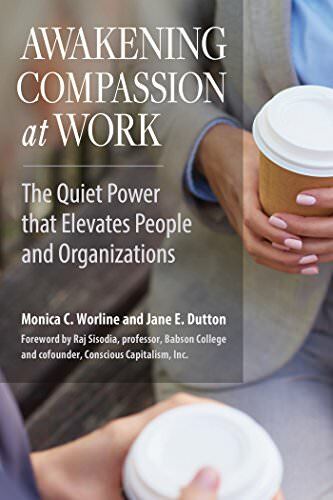 Awakening Compassion at Work: The Quiet Power That Elevates People and Organizations (Berrett-Koehler Publishers, 2017).